Maize flour* 70%, rice flour* 30%. The Doves Farm Wheat Free Organic Maize and Rice Fusilli Pasta - 500g product ethics are indicated below. To learn more about these product ethics and to see related products, follow the links below. In my opinion, tastier than wheat pasta. My mum's been wheet free for over 20 years and is loving having pasta she can eat. 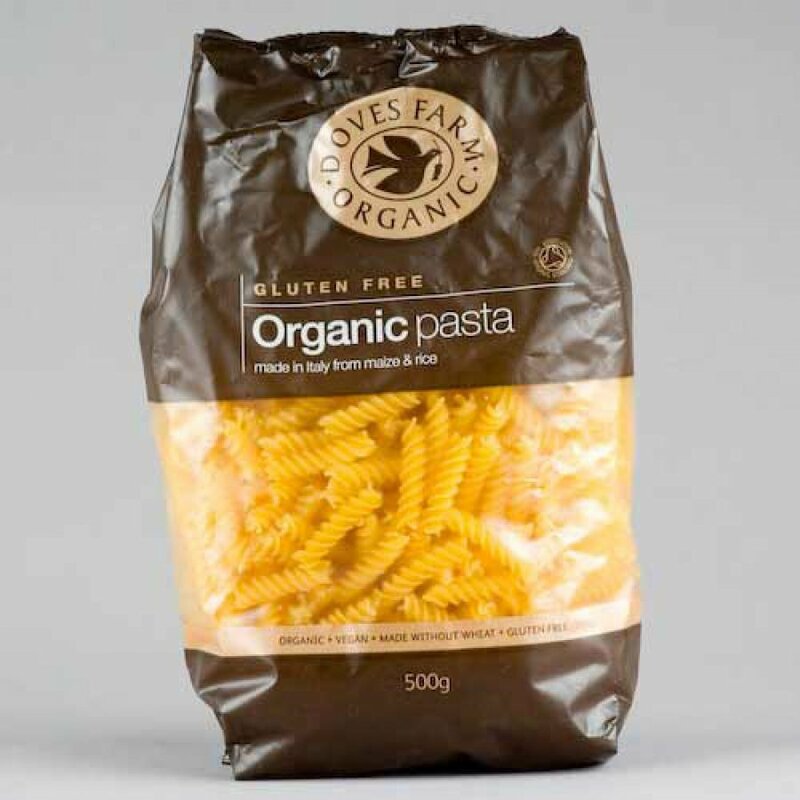 There are currently no questions to display about Doves Farm Wheat Free Organic Maize and Rice Fusilli Pasta - 500g.